Gropius House in Lincoln, Massachusetts, is Historic New England’s singular example of Modern architecture. Walter Gropius, famed architect and founder of the German design school, Bauhaus, designed the home for his family in 1938. 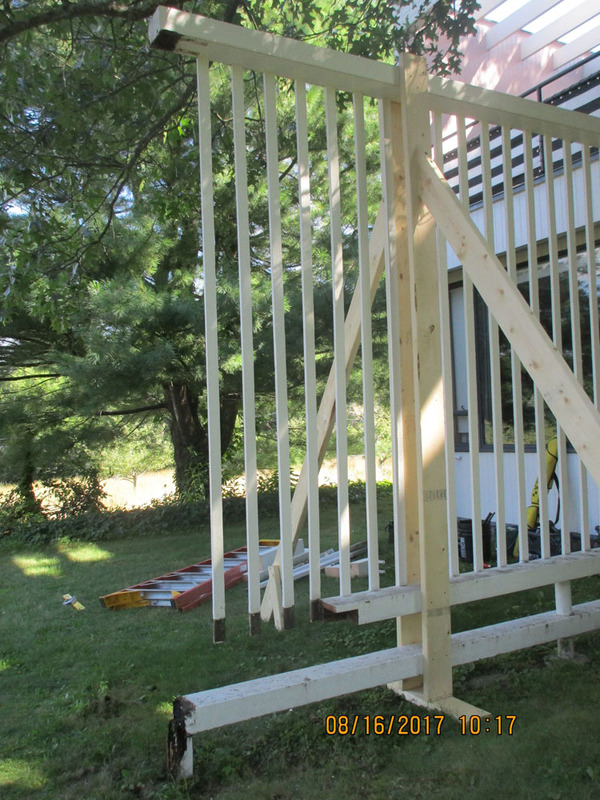 Last summer, Historic New England’s carpentry crew repaired two wood trellises attached to the house. The project is an example of a key tenet of Historic New England’s preservation philosophy: in-kind replacement. “In-kind replacement” means that we repair using currently existing materials, even if those materials differ from the ones used when the house was originally built. 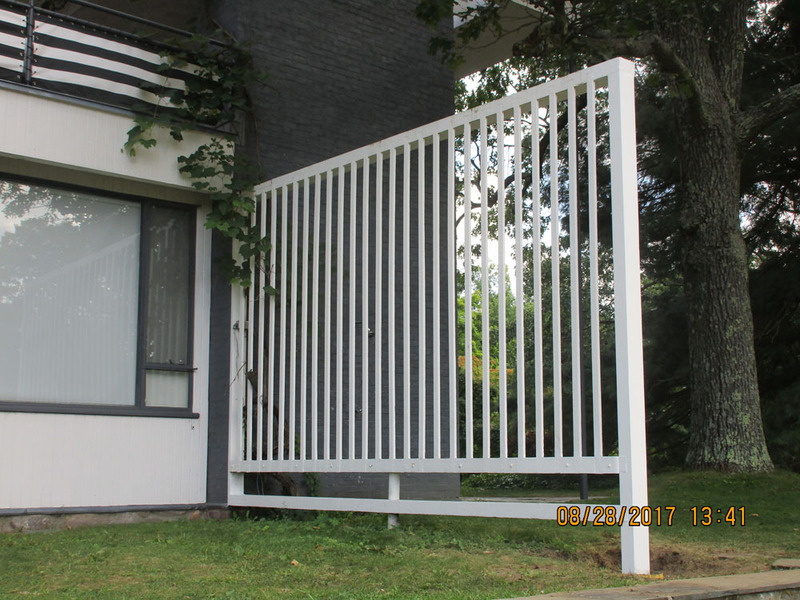 The east trellis, which you see as you approach Gropius House from the driveway, received a new post and caps. The west trellis, however, required more significant work. 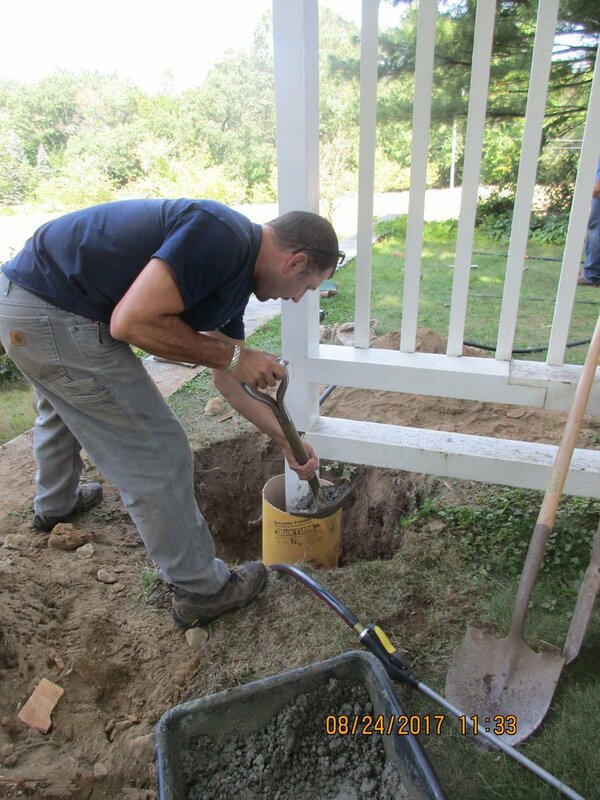 The existing concrete footing was extracted and a new one poured. We replaced its post in kind and repaired the bottom rails. Like much of the woodwork at Gropius House, the west trellis was originally built with redwood. At some point the post was replaced and the species was changed from redwood to fir. For this repair we replaced the post in kind, using fir. For more information on in-kind replacement, please read our white paper on the topic. In preparation for the 100th anniversary of the founding of the Bauhaus, coming up in 2019, we will continue our restoration efforts at this exceptional property.